A nonfiction work that aims to shed light on the real difficulties of motherhood and redefine it as just one path among many. According to Holmes, despite the gains of feminism, most women have been “indoctrinated” into believing that motherhood is their main goal by a society that puts too much emphasis on its joys and not enough on its challenges. The author, a mother of three, wrote this book, in part, to inform her own daughter of motherhood’s gritty truths. For example, “Dirty Little Secret #1” is that “You will lose a big part of yourself once you become a mom”; and “Dirty Little Secret #8” is that “Kids are grounded in the belief that their moms revolve around them, even into adulthood.” Using personal experience, interviews, polls, and vignettes about women with and without children, Holmes discusses issues such as work/life balance, competitive mothering (including elaborate children’s birthday parties), the emotional and financial costs of kids, and parenting when single or divorced. She also considers issues such as access to birth control, choosing childlessness, and rewriting cultural scripts. 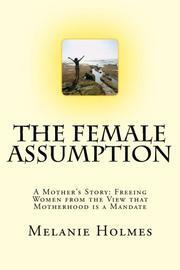 Although some of the book could apply to men, Holmes specifically addresses women because, she says, men aren’t “grilled as regularly about procreating.” She admits that “This conversation has been around before,” but “in the words of writer and lecturer Stephanie Mills, ‘the topic keeps vanishing.’ ” It’s a good thing to counteract overly sentimental, restrictive views of motherhood and encourage thoughtfulness. However, Holmes’ tone of revelation is puzzling, particularly regarding the so-called “secrets.” Kids are demanding, they get into your stuff, and they’re expensive—but is any of this surprising? The author also seems to take her own experiences (including her Catholic childhood in a conservative family, her naiveté about child-rearing, and her unwillingness to face family pressure) as the norm, and she doesn’t deeply examine some of her choices, such as performing all of her household’s child-rearing and housekeeping tasks while also working full-time. She weakens her argument through hyperbole, such as by characterizing socialization as “indoctrination” that’s impossible to overcome—despite her own contrary examples of women who are childless by choice. An earnest but uneven treatise that encourages informed choices by those facing intense pressure to have children.